Strengthening connections between the public and the Boulder County Parks & Open Space Department. The Foundation's goals are to fund specific projects and programs that are beyond the financial capacity of the Parks and Open Space Department and to promote citizen stewardship of open space. Thanks to the generous donations from the Boulder community, we raised our goal of $19,335! In September of 2013, the Anne U. White Trail trail located in north Boulder was completely destroyed by flood waters. Below is a summary of the estimated costs to restore this treasured resource to its former splendor. The Boulder County Parks & Open Space department is in the process of identifying a provider to grow the woody and wetland plants; it is predicted that the growth of these plants will take a year or more before they will be ready for transplant. Anne U. 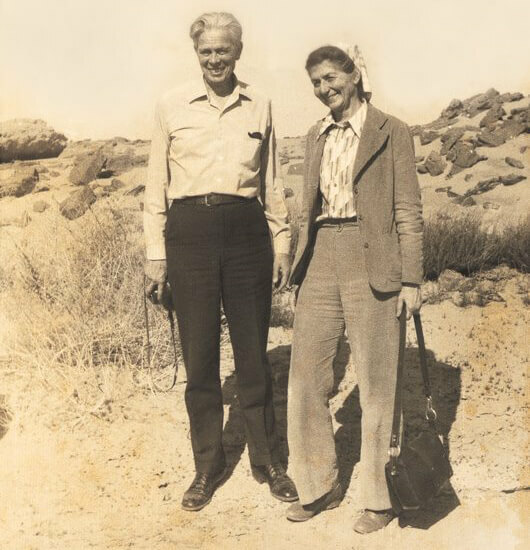 White was one of the early proponents to preserve open space in Boulder County and one of the initial members of the Boulder County Parks and Open Space Advisory Committee. Gilbert Fowler White, Anne's husband, was a prominent American geographer, sometimes termed the "father of floodplain management" and the "leading environmental geographer of the 20th century." Learn more about Gilbert on Wikipedia or by watching a 16-minute biography. Mary White is one of Anne and Gilbert's three children. In 2010, Mary worked with a committee of local engineers, government officials, and artists to honor Gilbert's work with a beautiful flood marker that sits beside Boulder Creek, just east of Broadway. The marker has indicators for the 50, 100 and 500 year flood levels. 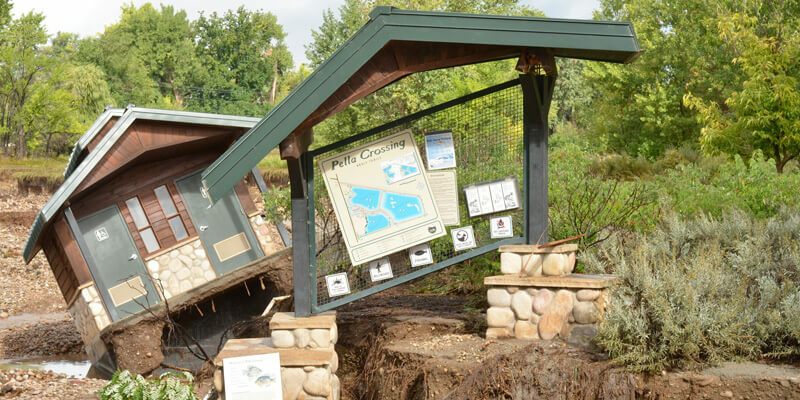 Learn more about the Boulder Creek Flood Level Marker Project. We are still accepting donations for the Anne U. White Restoration Project. 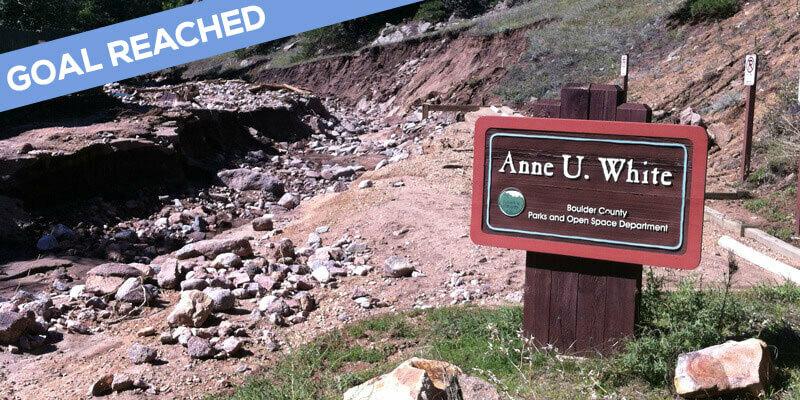 We are working with Parks & Open Space staff to identify other potential restoration efforts at Anne U. White. Parks and Open Space offers free education programs to students in the Boulder Valley and St. Vrain Valley school districts. But sometimes the transportation costs for buses to the sites can be prohibitive. 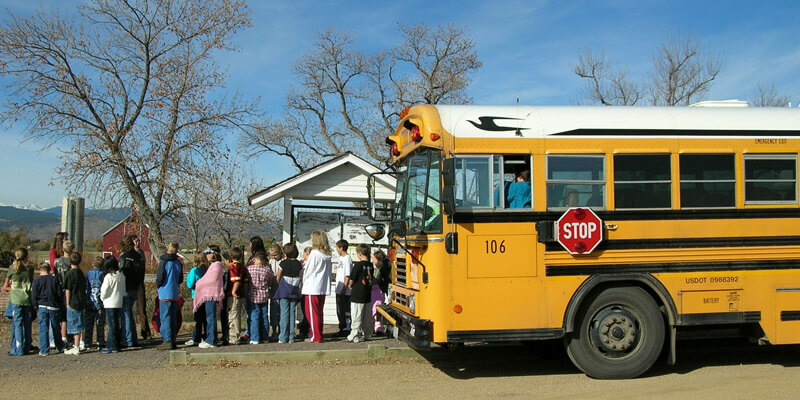 We work closely with Parks and Open Space to provide funding for schools that need assistance covering bus costs. Each year, we make it possible for hundreds of students to attend places like the Walker Ranch homestead, the Agricultural Heritage Center, Walden Ponds, and Heil Valley Ranch. This allows students to experience the hands-on learning and nature immersion at these sites. 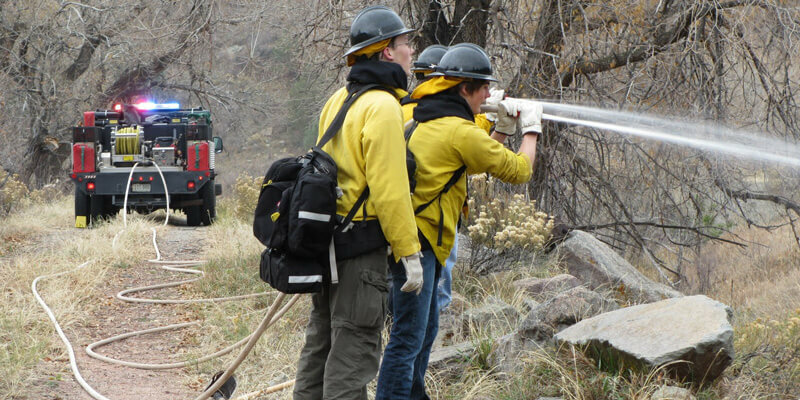 The Left Hand Outdoor Challenge is a program that teaches Boulder County teens how to be outdoor leaders, to take action as stewards of Boulder County's open spaces, and to explore careers in natural resource management. Teens complete monthly challenges designed to teach participants the skills to complete a final challenge highlighting their leadership and resource management knowledge. In 2015 the program had 35 participants ranging from 14 – 18 years old and 9 adult volunteer program leaders. Participants learned about other natural resource agencies and developed a broader sense of outdoor careers. Participants were invited to Soapstone Prairie Natural Area and were the first non-staff group to monitor re-introduced Black-Footed Ferrets. We help provide the operating budget needed for this amazing program to run effectively and impact Boulder County area teenagers. Restoration work at Pella Crossing will being late summer/early fall of 2016. We will provide funding to recovery work that is not covered by FEMA or other funding sources. More details will be announced later in 2016. The Foundation relies on the generosity of individuals, other foundations and corporations to reach its goals. We are a registered 501(c)3 nonprofit organization. Contributions are tax deductible in accordance with state and federal laws. The Parks and Open Space Foundation was formed at the end of 2004 as a supporting organization for the Boulder County Parks and Open Space Department. The Foundation is open to general membership and is envisioned to be one of those enduring vehicles that provides for personal connections to open space. The Foundation is incorporated in the State of Colorado as a non-profit. The physical reminders of our heritage thrive through partnerships that preserve and enhance natural and historic resources. The Parks and Open Space Foundation strengthens the connections between the public and the Boulder County Parks and Open Space Department by raising private funds, supporting innovative projects, fostering partnerships and increasing community involvement. We believe prehistory, pioneering, mining and agricultural heritage is vital to our lives and to future generations. We value geologic features, ecosystem diversity, wildlife habitat, scenic prairie and mountain vista, and natural landscapes. We value places for reflection, solitude, learning, inspiration and discovery. We believe in opportunities for people to connect with the land through passive recreational and other sustainable public uses. We believe in maintaining community integrity by creating (and maintaining) urban buffers. We believe in inspiring current and future stewards of our lands and resources. We accomplish our mission with honesty, openness and a respect for diverse opinions. "Our strength lies in our imagination, and paying attention to what sustains life... Open lands open minds."